We are so proud of and excited for our own Girls’ Head Counselor, Lonnie Sarnell, as she opens the doors of her psychology practice in Millburn, NJ. 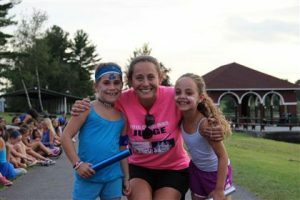 As you read about her below, you’ll be even prouder to be affiliated with Tyler Hill Camp. Lonnie is the consummate professional and we’re so excited to share with you her off-season expertise. Lonnie Sarnell, Psy.D. is a licensed clinical psychologist who provides clinical and sport psychology services to tweens, teens, and adults. 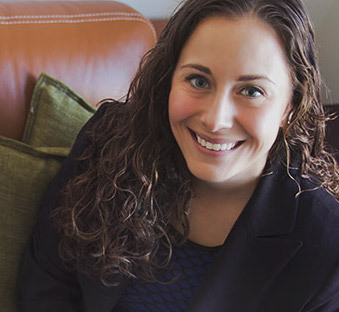 Just this week, Lonnie opened her own psychology practice in Millburn, New Jersey. Lonnie specializes in peak performance and anxiety management, and she has experience working with a wide range of concerns, including test anxiety, panic attacks, depression, eating disorders, life transitions, and relationship difficulties. She has worked with athletes at the youth, high school, college, and professional level, and she offers sport psychology consultation and presentations to athletes, coaches, and teams. Lonnie provides individual therapy using an integrative approach to treatment with a focus on Cognitive Behavioral Therapy (CBT) and Mindfulness-Based Techniques. Lonnie completed her B.A. in Psychology at Yale, where she was a member of the women’s lacrosse team, and she completed her Psy.D. in Clinical Psychology at La Salle University. She spent the past 3 years working at a private practice on the Upper East Side of Manhattan before deciding to open her own office in New Jersey. Lonnie is currently accepting new clients, and she is offering a free introductory sport psychology or anxiety management talk to local schools, teams, and organizations. If you’d like to learn more, you can contact Lonnie at drsarnell@gmail.com or check out her website: www.drlonniesarnell.com.